Keep your factory equipment factory with these new Toyota Tercel wiper blades designed specifically to fit your windshield and wiper arms with no adaptation necessary for proper mounting unlike some aftermarket blades. 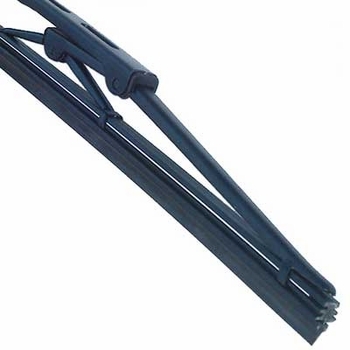 This high quality Toyota Tercel wiper blade is engineered specifically for your Tercel for the proper attachment, length and operation so you won't struggle with vision during those rainy seasons. You will want your new wiper blade to fit like original Toyota equipment does so your best bet is to purchase a factory replacement to assure proper fit and a smooth swipe. Proper attachment is assured with this Toyota factory wiper blade to your Tercel factory wiper arm so there will be no guess work or alternate attachment procedures to give you the same high quality wiper action.